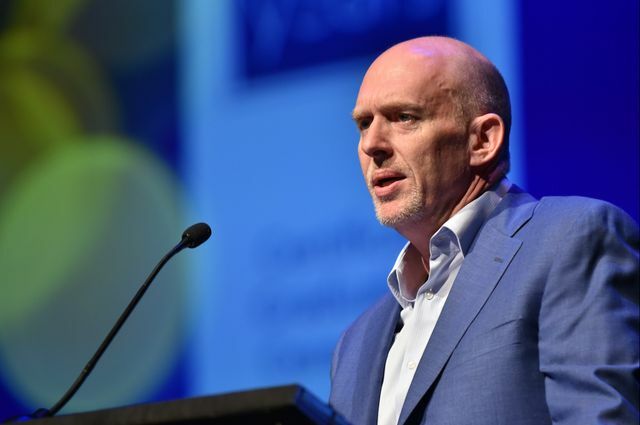 Frank Pearce, co-founder and chief product officer of the company behind the blockbuster game “World of Warcraft,” told UCLA Extension graduates to commit to lifelong learning. Speaking before a packed Royce Hall at the UCLA Extension Certificate Graduation Ceremony, Frank Pearce, co-founder and chief product officer of leading video game company Blizzard Entertainment, recalled the time that he felt the identity of his company was in flux. So, Blizzard leadership held an exercise to define their mission and values. After that, “We did what any typical company would do: We cast them in bronze and embedded them in concrete at the base of a 12-foot statue of an orc riding a wolf,” he said, to chuckles from the audience. 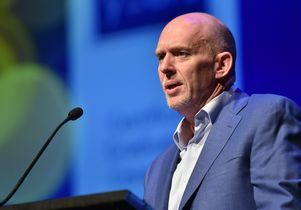 Pearce received his bachelor’s degree in computer science and engineering from UCLA in 1990, and currently serves on the university’s computer science undergraduate advisory board. 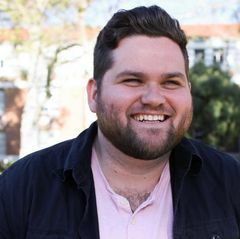 In 2007, he attended UCLA Extension’s Technical Management Program, a one-week intensive workshop that trains engineers and programmers in management and leadership skills. Since then, some 150 Blizzard employees have completed the program. 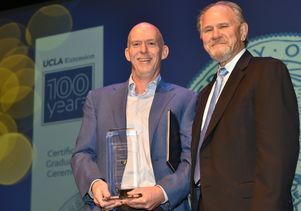 This year — during which UCLA Extension is celebrating its 100th year — approximately 2,000 students received their certificates in one of UCLA Extension’s more than 100 certificate programs, in fields such as early childhood education, accounting, feature film writing and information technology management. 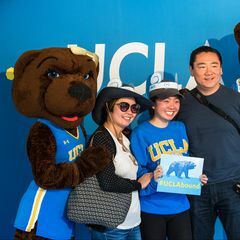 Several graduates who attended the ceremony had very clear ideas about how a UCLA Extension certificate figured into their career plans. Amy Levier, who works in a downtown Los Angeles legal office, appreciated that she could attend classes for her paralegal certificate at Extension’s downtown location. John Sabzerou, who earned a certificate online in supply chain management, hopes to use that credential, along with his 38 years of experience in manufacturing to launch a consulting business. “A certificate from UCLA, such a well-known name, will help me do that,” he said. 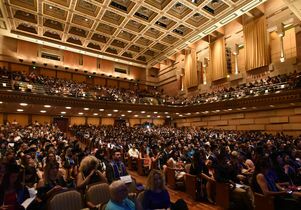 Royce Hall was packed for the UCLA Extension graduation ceremony on June 22, 2018.